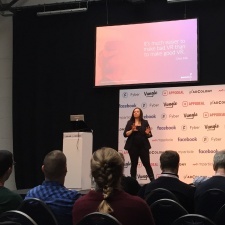 Speaking at Casual Connect in Berlin this morning, Stephanie Llamas (VP of VR/AR Research & Strategy at SuperData) made strong predictions about the take-up of consumer VR. But she also urged the industry to ensure quality experiences were actively put in the hands of consumers. Her talk, subtitled “The Risks of Investing in VR”, claimed that Virtual Reality will reach $37.7b by 2020 (and be enjoyed by almost 220 million consumers) – which would be 21x growth in terms of money. More was invested in 2016 than in 2012-2015 combined, up to $2.1b even putting Facebook to one side. This is because headsets started getting into users' hands and firms saw the potential. However, revenues since 2012 are only worth 46% of the investment dollars. The challenge is that VR is new and transformative but it’s very difficult to get into the hands of consumers unless they are actively looking of it. Like the Matrix, it’s hard to explain – you have to experience it. The first experience is pivotal. “If they experience motion sickness or otherwise don’t enjoy it, trying to get that customer back is very difficult,” said Llamas. The first demo is essential, she explained, and it’s rare to find people who can demo it really well. We like to think TheVirtualReport.biz did an acceptable job at VR Connects last month, but the point is a good one. Mobile gaming, by comparison, is much easier – it’s a very low barrier to entry, especially since the market figured out the free-to-play model. The best and most monetisable content in VR was developed specifically for the platform – just porting another game into VR doesn’t work – and it’s key to ensure quality, both in the content and the way it’s demoed, although that can be expensive. Nonetheless, SuperData are predicting solid growth over the next three years, partly based on factors like the rise of Google Daydream. Llamas also claimed that by 2020 games will make up 30% of VR revenue (compared to 44% now). 81% of US consumers buying VR right now said they were interested in games, compared to 53% who bought VR to watch TV or movies. 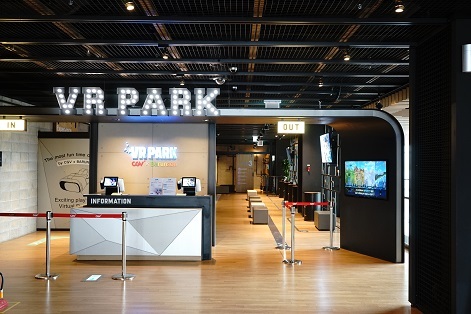 SuperData is the leading provider of market intelligence for digital games, eSports and now VR, with 78 million unique users, a panel of 78,000 consumers and data from 42 of top 50 publishers worldwide. Casual Connect is taking place this week at Station Berlin in Germany.